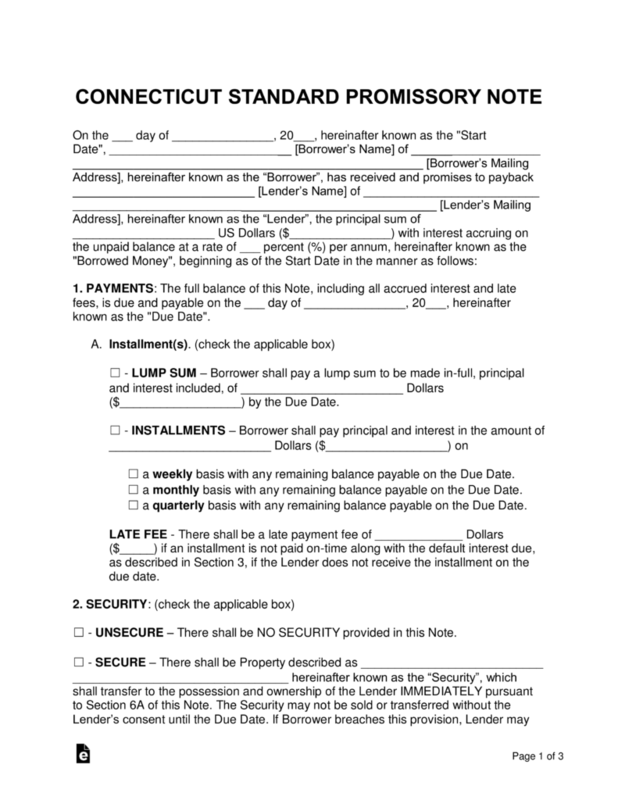 The Connecticut promissory note templates are completed by two parties who are looking to engage in a leasing activity. The notes cover many aspects of the agreement and ensure the borrower and lender are clear on the terms and conditions of the loan. 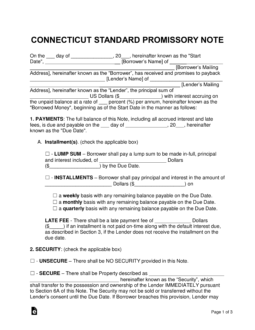 Secured Promissory Note – Gives the lender security in the transaction by guaranteeing a home, vehicle, or another type of worthy possession in the event of a default. 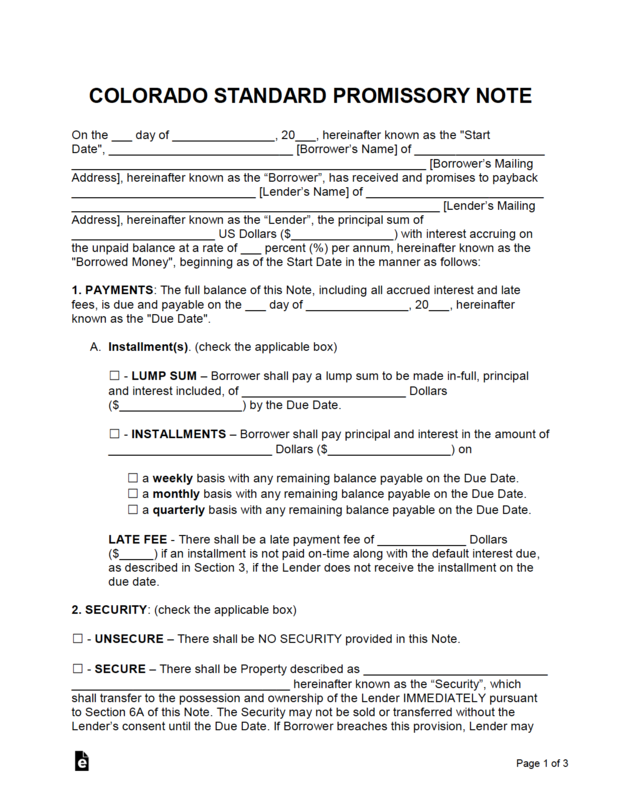 Unsecured Promissory Note – It is recommended that this note is used for lenders who have complete trust in the individual they are lending to. This is because the lender has no security in the deal, and risks losing money if the borrower defaults on the balance.